Welcome to the Lochaber Geopark, home to some of the most breath-taking and awe-inspiring scenery in the world. The magnificent scenery of Lochaber is a product of its geology. The Geopark is recognised for its outstanding and unique geological heritage. Explore mountains, lochs, rivers, coasts, cliffs and sandy beaches, look out for some wonderful wildlife, and learn how our landscape has been shaped over many millions of years. 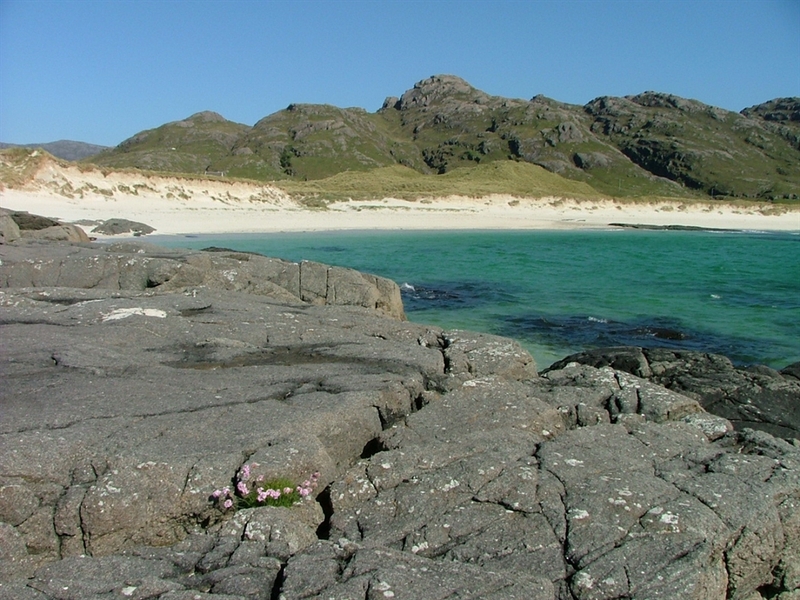 The Geopark stretches from Rannoch Moor in the south to Glen Garry in the north, and from Loch Laggan in the east to the Small Isles of Eigg, Muck, Rum and Canna in the west. 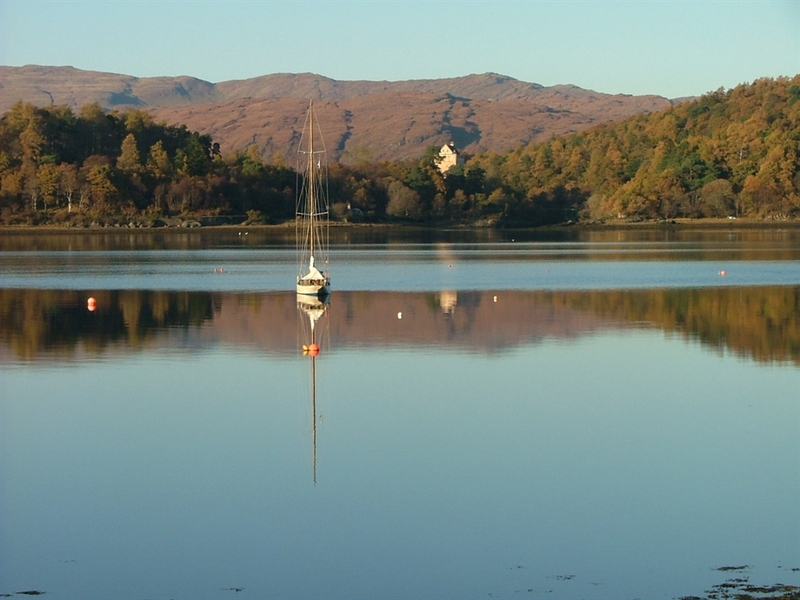 The dramatic and varied landscape of Lochaber has a fascinating story to tell of ancient mountain building, fiery volcanic activity and glaciers carving out lochs and glens. 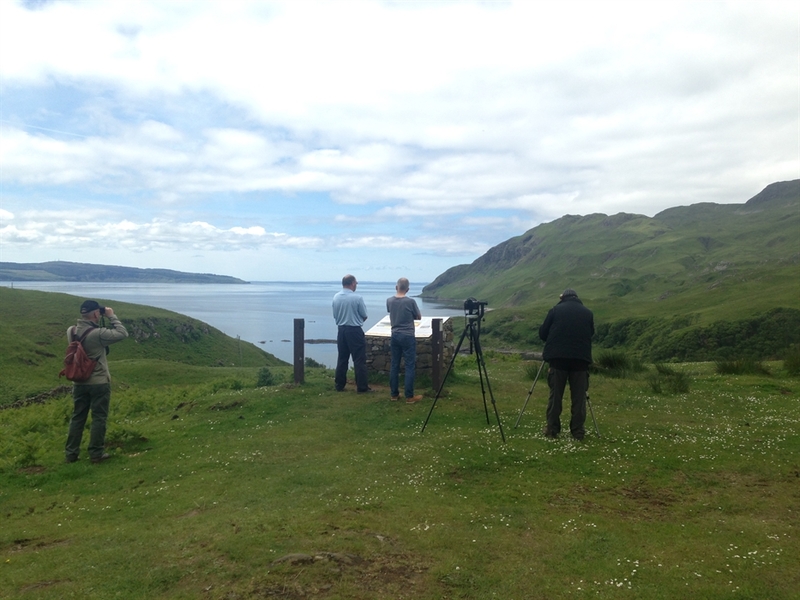 Many of the sites within our geopark are world famous, such as the volcanic rings of Ardnamurchan, the Ben Nevis Caldera and the Parallel roads of Glen Roy. Great information on all of these can be found on our website, http://lochabergeopark.org.uk/. Lochaber Geopark includes Ben Nevis, the highest mountain in the UK. It is cut by the arrow-straight Great Glen, which is the only route by which you can paddle non-stop across mainland Britain from Fort William to Inverness! You can explore the Ardnamurchan Peninsula, the most westerly point in mainland Britain, and visit the Ardnamurchan Lighthouse, which offers superb views across to the Inner and Outer Hebrides. Lochaber is famous for the 'Big 5': Golden Eagles, Red Deer, Otters, Seals and Red Squirrels. 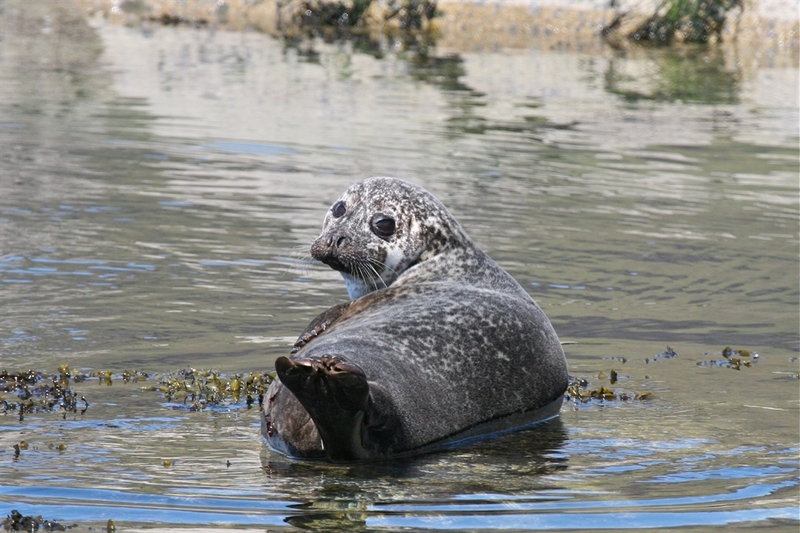 However Lochaber’s wildlife is far more varied than that and includes; Sea Eagles, Ospreys, puffins, Gannets, Harbour Seals, Bottlenose Dolphins, Common Dolphin, Porpois, Basking Sharks, Minke Whales, Orca (Killer Whales), Pine Martin and Wild Cats. 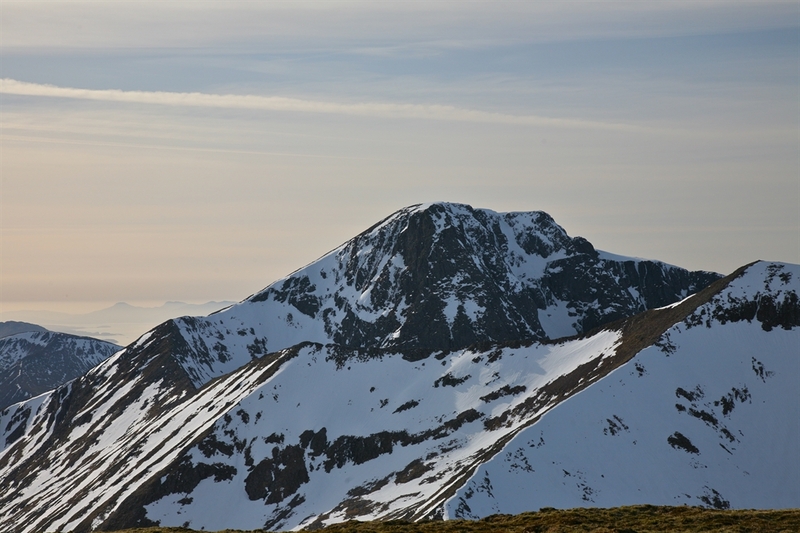 Walking – The mountains of Lochaber rise steeply, forming impressive ridges and summits, perfect for any walking enthusiast. The excellently maintained Forestry trails mean there are walks for all levels. Skiing- With two ski centres at Nevis Range and Glencoe, it's one of the few places you can enjoy a UK Ski holiday. Paddling – With rivers, lochs, and seas it's the perfect places for kayakers and canoeists. Mountain biking – Enough trails to last a life time, from gentle forestry track to the world championship downhill run near Fort William, something for everyone. Located in the village of Roy Bridge on the A86, it's the first stop if you're arriving in to the Park from Dalwhinnie or Newtwonmore off the A9. Alternatively if you're coming from Fort William it's a 20 minute drive, past Spean Bridge. The Hub is home to the great Darwin's Rest Cafe, a small display on the famous Parallel roads, an information point for the park and a craft shop. The Hub is also at the base of the Glen Roy valley, and guided tours will run in the high season to see the famous Parallel Roads. The Geopark provides excellent information about how best to explore Lochaber to learn about it's rich geological history. You can purchase comprehensive travel leaflets that guide you through the geology of the area on our website at http://lochabergeopark.org.uk/shop/. 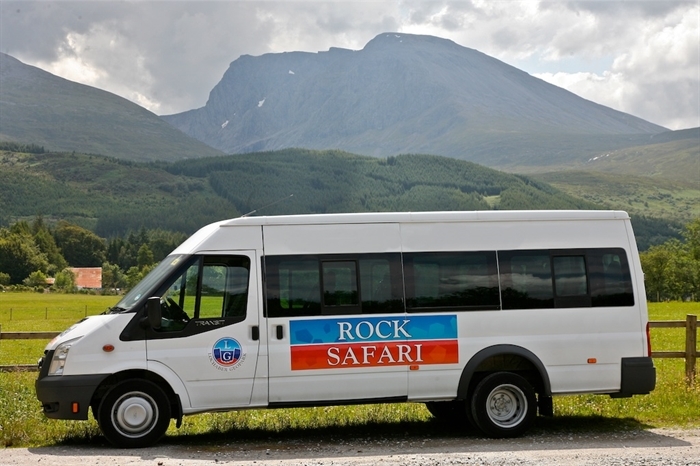 Also remember to pick up a free 'Rock Route' leaflet when you arrive in Fort William, or take a 'Rock Safari' to help you explore this stunning area of the West Highlands! • 4 international airports (Edinburgh, Glasgow International, Glasgow Prestwick and Inverness) within easy distance of Lochaber. •Trunk roads link Lochaber to Glasgow, Edinburgh, Inverness and the North-West Highlands. A network of lesser roads, many single-track with passing places, take the motorist or cyclist through spectacular mountain and coastal scenery. • Trains link Mallaig and Fort William to Glasgow and Edinburgh, and there is a through Sleeper train from Fort William to London. The Jacobite steam train runs from Fort William to Mallaig during the summer months. • The Geopark can be entered by several car ferries: Mallaig to Skye; Lochaline to Fishnish, on Mull; Kilchoan to Tobermory, on Mull. The Corran ferry across Loch Linnhe takes traffic from the South to the south-west of Lochber. The magical Small Isles of Rum, Eigg, Muck and Canna can be visited by ferry from Mallaig, a marvellous journey.